However you decide to celebrate International Anti-corruption Day, make sure you’re helping the world. To become just a little bit better in the process. International Anti-corruption Day was launched on October 9th 2003 by the General Assembly of the United Nations. 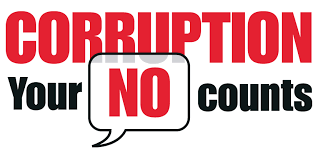 As a way of raising awareness of corruption and highlighting the role of the United Nations Convention against Corruption in combating and preventing it. Corruption could be one of the biggest tragedies of mankind for the simple reason that it is ongoing and extremely difficult to combat. Forcing the poor into ever more hopeless conditions while the select few in power get ever richer and more powerful. Bribes prevent chosen criminals from ever having to take responsibility for what they’ve done. The official reason given by the UN for creating this day is that it was “concerned about the seriousness of problems and threats posed by corruption to the stability and security of societies, undermining the institutions and values of democracy, ethical values and justice and jeopardizing sustainable development and the rule of law”. If you want to help those affected by corruption more actively, perhaps you could donate some money to a charity. However you decide to celebrate this day, make sure you’re helping the world become just a little bit better in the process.